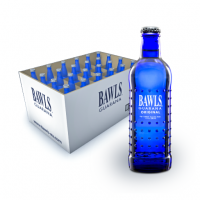 Update: 02/01/19Full size original boxes are out of stock now.10-12-18The Bawls Guarana Original tas..
Each bottle of Bawls Guarana Orange contains the following:Caffeine: 64 mgCalories: 140Total Fat: 0g..
Each bottle of Bawls Guarana Cherry contains the following:Caffeine: 64 mgCalories: 90Total Fat: 0gS..
With the Variety pack, you will get 6 bottles of each flavor.This package contains:6x Original6..
Each bottle of Bawls Guarana Ginger contains the following:Caffeine: 59 mgCalories: 130Total Fat: 0g..
With the Variety pack, you will get:This package contains:8x Ginger8x Orange8x Cherry..
With the Variety pack, you will get:This package contains:12x Ginger12x Cherry..
For a limited time we have some discount on all of our stock. It will take some weeks untill there is new stock. Because of the holidays, there is an 5% discount, valid till 26-7, use the code: BAWLS5 in your cart. From 27-7 till 6-8 we are on an event, orders made in that time will be dispatched on 7-8. 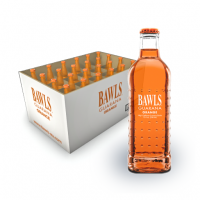 The new flavors arrived today, and have been added to the stock. New shipment will arrive in about 3 weeks. We will be adding Cherry, Ginger and Orange again. With the new supplier, we can lower the price also. Because of the holidays, all orders made between 08 and 15 feb, are being sent on 16 feb.